← End of Season – homeless plants looking for a forever home. We recently have had a flow of interest in topics covering water collection, and water … dissemination. So in the spirit of disseminating information on a topic that has wet a lot of interest here is a synopsis of useful info on rainwater harvesting, greywater and … you guessed it… composting toilets. Two aspects here – policy and application. Lets start with application. 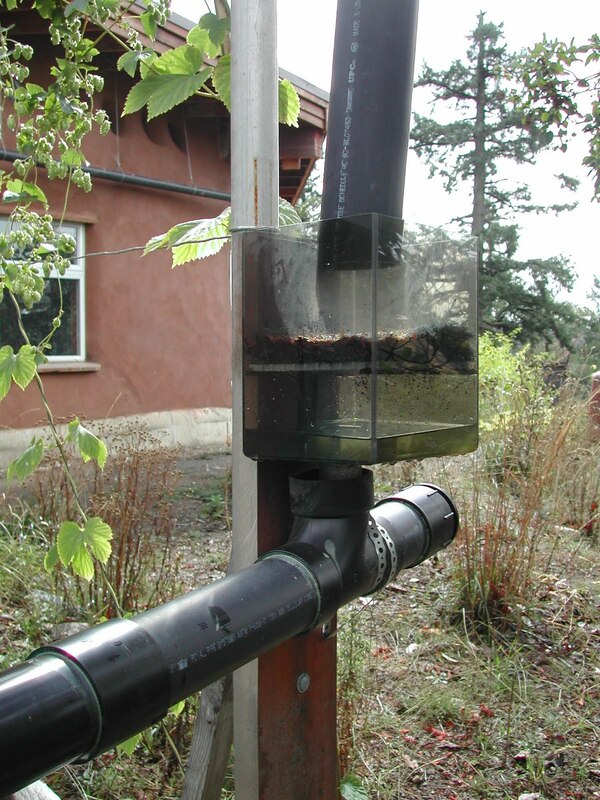 Why collect rainwater? Irrigation of immediately local food. Potable water source for areas that have contaminated groundwater or dried wells, or contaminated surface water sources. Emergency water source in emergency and natural disasters, thus providing resiliency to the home owner and decreasing the stresses applied to emergency response teams to get water to the public. Emergency source of water in the event of fires. In cities it is a form of storm water management which can decrease the storm flood into city storm drains and sewers, and thus decrease the need for expensive upgrades and robust systems (saves tax dollars). Dual tank with aeration, seasonal irrigation pumps, well top-up, and potable water emergency pump. Summer irrigation runs through upper floor of the home cooling the house as its fills the tanks. before storage via a debris filter and a first flush diverter. Store it clean, don’t allow critter access to the tank, and design the overflow to match the inlet… match the inlet to the code requirements for the catchment area size. 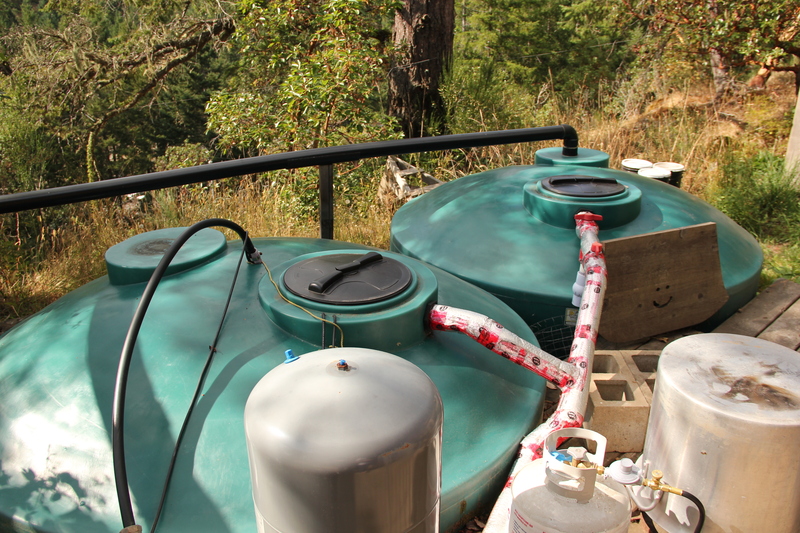 Tank with coarse and 1st flush filters – Boat access only install – 40 minutes out of Tofino. Service contract allows me to Kayak in to service systems. Sizing of storage is really dependant on the monies you have, the usage patterns and volumes (water budget), and space for storage. I have a program I wrote to calculate all these items and help make the best choice… but ultimately storage is the biggest price tag of the non-potable system. 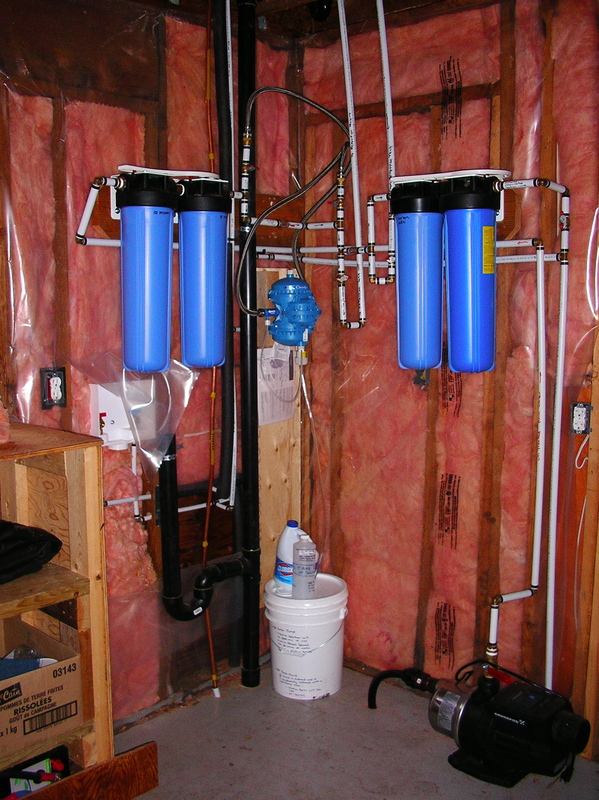 A potable system has additional expense in the form of filters and sterilizers that can come in many forms, from particle filtration and UV sterilization, to membrane filtration, and chemical sterilization (chlorine and peroxide systems). A solar powered home so we resorted to 5 micron filter, chlorination, 1 micron carbon and finished with a KDF55. Pumping also has a list of variables, but the system I like is the one we use here at Eco-Sense, which is an in-tank submersible pump that turns on/off automatically thus not requiring a pressure tank or winterization. Roughly this pump setup is $1000. A comment supplied to a person on the mainland asking how they could approach their council on the issues of rainwater harvesting. Start with introducing the topic and why it is important. ” I am requesting that Council give he topic of Rainwater Harvesting for potable and non-potable use attention in light of the issues we face and ones that will only become more pronounced with climate change, and ask that they motion staff to develop a policy to allow such”. Ask council to promote this policy to the CRD (or whatever regional district) to create a regional policy. Asking direclty what you want is fine, as most councillors will not think of what to ask of staff, or what steps to take… so this does it for them. This might be a surprise, but when a councillor is in the midst of a discussion, they follow seemingly good ideas easily. Contact us if you are interested in getting a quote, $70 site visit, and $120 to run you through an analysis of water collection, storage and usage. A topic that I love because it is not black and white. Just recently Ian Ralston headed up a group of five, to write draft regulation/guidelines for greywater and composting toilets for the BC Ministry of Health (MOH). Ian by far was the lead, with my role being reading, editing and putting my two cents in here and there. The outcome is a document currently under review by the MOH. The basic gist is that greywater will be able to be designed by an ROWP rather than an engineer, and that a separate waste (septic) system will not be required if a proper system is designed and installed. That said there are benefits to seasonal diversion into a septic or existing sewage system… and not to poo-poo the latter. Different types of greywater will require different standards of dispersal, with guidelines on sizes of mulch basins, depth of discharge, mulch characteristics and depth of covering materials. When the MOH toured through Eco-Sense as part of the project, I was surprisingly impressed, and thoroughly enjoyed them and their questions. Again part of the same document as noted above. The down and dirty on this is the willingness of the BC Building and Safety Policy Branch to approve an intermediate “Alternate Solution” to allow composting toilets until the BC Building Code gets re-written and has notation of the CT and Water Closet being equivalent. We covered a whole host of toilets and processing systems ranging from the simple to the complex, from batch composting to continuous, from pee-in to urine diversion, from mouldering to incinerating. We covered the functions and objectives of the BC Building code, the qualifications for the person installing them, the safety aspects of composting on-site, and a lot more. I previously had mis-judged other systems thinking one was better than another, but after this process have come to learn that each application is going to require a system that meets the needs of the site and the users. There is not right or wrong system, but there is systems that deal with human excreta better in certain circumstances. If I had to choose all over again… I would still have gone with the system we did… the humanure system. What can you do to support any of these initiatives… you could follow through with the comment on rainwater harvesting and approach your council, and you could write to the Ministry of Health and state your support of greywater and composting toilets, and why you think they are important. It’s really that simple. This entry was posted in Uncategorized and tagged Composting toilets, Greywater, Rainwater Harvesting. Bookmark the permalink. 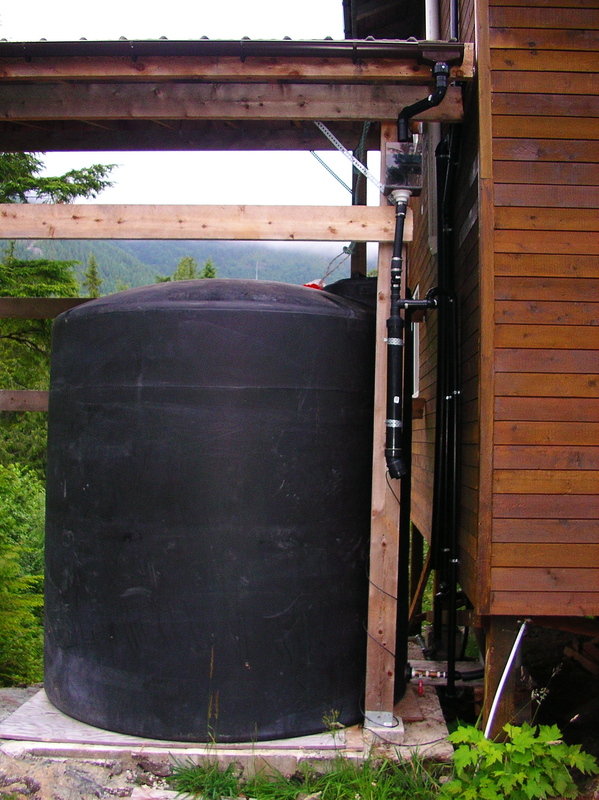 Thank you for your article on rainwater and other dry topics – most timely! However, I am somewhat confused by something you wrote in your early comments. You wrote “collect from a surface that will not add contaminants” and list such surfaces as treated wood shingles, galvanized metal roofing, asphalt shingles, which just about includes many houses both urban and rural. So are you then saying that the only surfaces suitable for rain collection are roofing tiles or a living roof? Hi Wendy. Metal roofing that is painted (epoxy coated) is great, EPDM without fire retardants (pond liner), fiberglass, TPO. Wood shingles that are bought from the store are treated, but wood shake you cut yourself can be assure not to have fire retardants. The metal roofing that is galvanized can be manufactured by a company that uses cadmium, and if you contact the roofing supplier and confirm no cadmium then it is safe ( rain water is slightly acidic so leaching and oxidizing materials can occur). Clay tiles are great but expensive. I am sure there is a host of roofing products I missed but the point should always be to contact the Manufacturer and see the MSDS sheet. (We do use a living roof, which works well for our patterns and irrigation, but for someone wanting sparkly clear water for drinking, the tannins that exist can be unsightly). We’d like a site visit, please, to look at water collection, grey water, and garden watering system. Hi Hilary and Lawrence. Feel free to email me or call and we can set up a time for me to come by. Our number is 250-478-2680 or email is gord@eco-sense.ca. Great post! Glad to hear that government is working on regulations. We just bought a property and want to separate grey water, build leaning for it and use it for watering. Where we can can get a draft of the document to meet future standards?